Nearly eleven years in The Netherlands for me. I'm also shivering. The amount of rain we get, makes the UK look positively arid ! 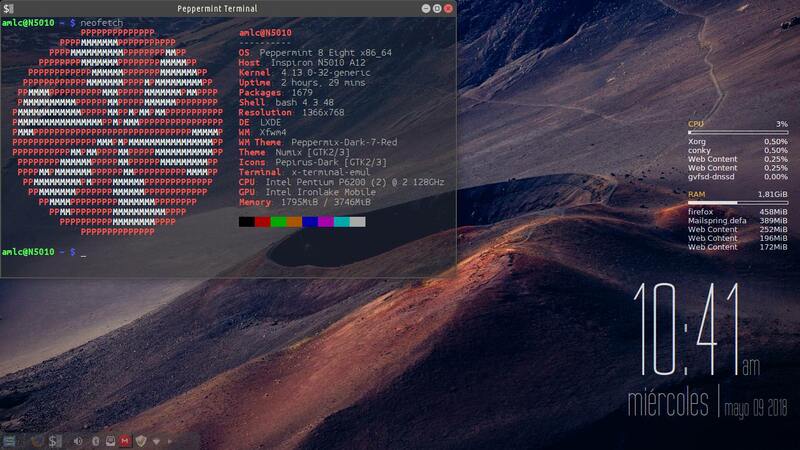 I knew you guys wouldn't believe this, so I took a screenie of my Conky - the PWS I use is less than 2 blocks away. Talking about 'positively arid', Andy, it's been raining here all day, and it's still only 75% humidity. LoL! Late to the party, but I refer the honourable gentleman to the reply I gave some moments ago. Hi Nick, welcome to the Peppermint Forum. It's good to know you're liking Peppermint 8 ! Hi nickp. Your background with Linux sounds terrific. Welcome to Peppermint! Hi everyone! I'm Mateo (I'd say the english form is Matthew), I've tried Live PeppermintOS on my computer for a while and I've finally decided to install it, so i bought a new HDD (Previous one was broken). I'm a 20 yo guy from Colombia sumercé, I studied one semester of an engineering, but I got kicked out of college, lol . I'm seeking to get into college next year, again... I want to study Computer Science. Other topics I like besides Linux are literature, arts, some philosophy and cycling.